Many women report mood changes linked to their monthly menstrual cycles. Between 3% and 9% of women of reproductive age experience premenstrual dysphoric disorder, often with severe depression symptoms. As we move through different stages in our lives, we enjoy and cherish happy times as well as face challenges. In fact, many of the things that bring us great joy and fulfillment, such as close relationships, a promotion, having a baby, or buying a home, also can cause stress on our mental health. At some point we also have to cope with traumatic life events such as dealing with a loved one’s serious illness or death, a loss of a job, domestic violence or sexual assault. Changes in our physical health also affect our mental health. For instance, changing hormone levels due to a woman’s monthly period can affect mood, causing irritability and tearfulness. Also, women’s mental health is at greater risk for problems such as depression during puberty, after having a baby, and in the years just before menopause. 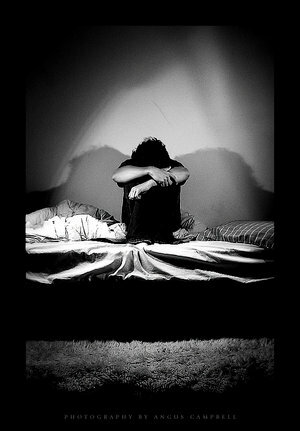 Depression also comes along with many illnesses such as cancer, heart disease, stroke, HIV, or autoimmune diseases. We all feel worried, anxious or sad from time to time. But, a true mental health disorder makes it hard for a woman to function normally. Women suffer twice as often as men by most forms of depression and anxiety disorders, and nine times as often by eating disorders. And some mental disorders show up differently in women and men, such as schizophrenia. While there are different mental health disorders, they all are real illnesses that can’t be willed or wished away. Most mental disorders do not have a precise cause, but result from the interplay of many forces, including life events, brain chemicals, genes, hormones, and illness. You aren’t at fault if you have one, and you should not suffer in silence. Be patient with yourself and reach out to others for help. These illnesses can be treated successfully so that you can get back to enjoying life — not only for yourself, but for your family too. Depression: It may not be the first thing that comes to mind when you think of health conditions that affect women, but, in fact, it is one of the leading reasons women seek out medical help. While it’s not known for sure, higher rates of depression in women than men may be linked to biological and social differences. True depression is more than just the occasional “blues” that most people encounter now and then. Clinical depression affects the whole person — mind, body, personal life, work life. Although brain chemical imbalances that cause depression are complex, researchers believe that a few main hormones are responsible for promoting feelings of wellbeing. These hormones are norepinephrine, dopamine and serotonin. Another name for these hormones is monoamine transporters; that is they carry important messages along the neural pathway in the brain. Where an imbalance of these hormones occurs, a mood, energy or cognitive problem results. This is why these hormones are closely associated with depression. Norepinephrine is produced by the adrenal glands and nerve cells to help us maintain energy and activity. Norepinephrine is also called noradrenalin and behaves similar to adrenalin, in that it is released in reaction to anger or emergency. As with serotonin related antidepressants, norepinephrine related medications do not increase levels of norepinephrine, but attempt to help the sympathetic nervous system to process it more efficiently. Dopamine is associated with euphoria and our desire or motivation. Dopamine is also connected with the information pathway in the brain. A dopamine disorder or imbalance can cause memory and cognitive loss as well as difficulty with problem solving. Serotonin may help us feel energetic, calm and assured. Most mood problems are associated with serotonin imbalances. Because the vast majority of depression sufferers may have low levels of serotonin, and because most medications seek to increase serotonin levels, serotonin is discussed here in more detail. Oral contraceptives — particularly those with high progesterone content. History of physical/sexual abuse in childhood. Infertility treatments involving the use of gonadotropin stimulants. Loss or threat of loss of social support system. Death of a parent before the age of 10. Family history of mood disorders. Personal history of mood disorders, particularly during the early reproductive years. Reduction of interest or pleasure in activities. Feelings of guilt, hopelessness, and worthlessness. Not being able to sleep or sleeping too much (insomnia or hypersomia). Changes in appetite including weight loss or weight gain. Difficulty concentrating or maintaining attention. Lack of energy or constant fatigue. Women are more likely than men to attempt suicide as a result of depression, however men are more successful in their suicidal attempts than women. Seventy percent of suicide attempts by women are by overdose or similar methods, while men more often choose a more violent method, such as a self-inflicted gunshot wound. All suicide threats should be taken seriously — contact a mental health worker or medical professional immediately if someone you know makes such a threat. A new study has found that genetics plays a bigger role in depression for women than it does for men. Researchers reviewed “twin studies” of depression – studies that compared identical twins raised apart. This is the best way to evaluate whether a disorder is caused primarily by genes or environmental factors. The studies, when analyzed together, found that genetic factors accounted for 42% of depressions in women. Genetic factors accounted for 29% of depressions in men. All of the studies included were methodologically sound and included “blind” personal interviews. Most mental health disorders are influenced by both genetic and environmental factors. Genetic factors have been found to play a role in the development of depression for both men and women. This new study suggests that genetic factors may play a larger role for women than for men. We appreciate you the recommendation! I?ll try it out. Hi all, i know how its to suffer from a problem like this. I’ve struggling from this like a few years with the usual ups and downs so i truly know its not fun when you have a problem like this. At a forum i found out some members were really happy about a capsule they got of the internet and i ordered it when i found those pills at – herbalhealingstore dot com -. So you see, these pills do work, you just have to get the good ones!